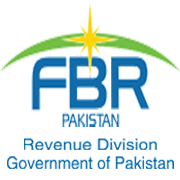 KARACHI: The Federal Board of Revenue (FBR) has notified transfers/postings of BS-20 and BS-19 officers of Inland Revenue Service (IRS). The BS-20 officers shuffled include Dr. Muhammad Akram Khan is posted as Commissioner Inland Revenue (City Zone-II) Regional Tax Office Faisalabad after being moved from the office of Commissioner, (Zone-III) Regional Tax Office, Faisalabad. Syed Ghulam Abbas Kazmi is posted as Commissioner Inland Revenue (WHT Zone) Regional Tax Office, Islamabad transferred from Commissioner, (Zone-I) Regional Tax Office, Sialkot. 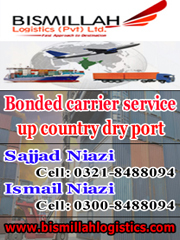 Nasir Khan is posted as Commissioner Inland Revenue (Corporate Zone) Regional Tax Office, Faisalabad moved from the office of Commissioner, (Zone-I) Regional Tax Office, Faisalabad. 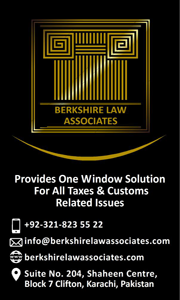 Zubair Bilal Commissioner, (Zone-I) Regional Tax Office, Bahawalpur is posted as Commissioner Inland Revenue (Bahawalpur Zone) Regional Tax Office, Bahawalpur. He is assigned the additional charge of the posts of Commissioner-IR (HRM) and Commissioner-IR, (WHT), RTO, Bahawalpur. The BS-19 officers reshuffled include Muhammad Jamil Bhatti Commissioner, (OPS) (Zone-II) Regional Tax Office, Sialkot is posted as Commissioner Inland Revenue (OPS) (Sialkot Zone) Regional Tax Office, Sialkot. He is assigned the additional charge of the posts of Commissioner-IR (OPS) (IP/TFD) and Commissioner-IR (OPS) (HRM Division), RTO, Sialkot. 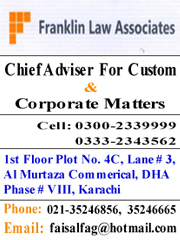 Commissioner, (OPS) (Zone-II) Regional Tax Office, Bahawalpur Bashir Ahmed Kalwar is posted as Commissioner Inland Revenue (OPS) (Rahim Yar Khan Zone) Regional Tax Office, Bahawalpur. Commissioner, (OPS) (BTB) Regional Tax Office, Faisalabad Ahsan Raza Ch. 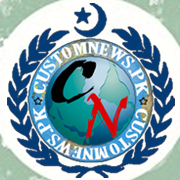 is posted as Commissioner Inland Revenue (OPS) (WHT Zone) Regional Tax Office, Faisalabad. Commissioner, (OPS) (Zone-II) Regional Tax Office, Faisalabad Muhammad Abid is posted as Commissioner Inland Revenue (OPS) (Jhang Zone) Regional Tax Office, Faisalabad. Commissioner, (OPS) (WHT) Regional Tax Office, Faisalabad Muhammad Majid is posted as Commissioner Inland Revenue (OPS) (City Zone-I) Regional Tax Office, Faisalabad. Secretary, (FATE Wing) Federal Board of Revenue (Hq), Islamabad Muhammad Shaukat Hayat Cheema is posted as Commissioner Inland Revenue (OPS) (Gujrat Zone) Regional Tax Office, Sialkot. Commissioner, (OPS) (WHT) Regional Tax Office, Sialkot Khaliq Farooq Mian is assigned the additional charge of the post of Commissioner-IR (OPS) (Sialkot Zone), RTO, Sialkot till resumption of charge by Muhammad Jamil Bhatti on return from Ex-Pakistan Leave. Additional Director, Directorate General of Training & Research (Inland Revenue), Lahore Ms. Sumria Mahmood Qazi is posted as Additional Commissioner Inland Revenue Regional Tax Office, Multan. Tagged BS-20 and BS-19 officers, FBR notifies, IRS, Transfers and Postings.